Shelly PAST LIVE 2018.05.05.sat 北九州小倉 WOW! 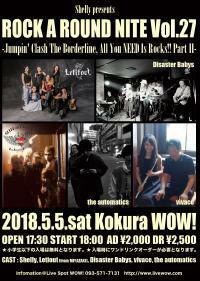 出演；Shelly, Letiout(宮崎), Disaster Babys, vivace, the automatics ...and more! !